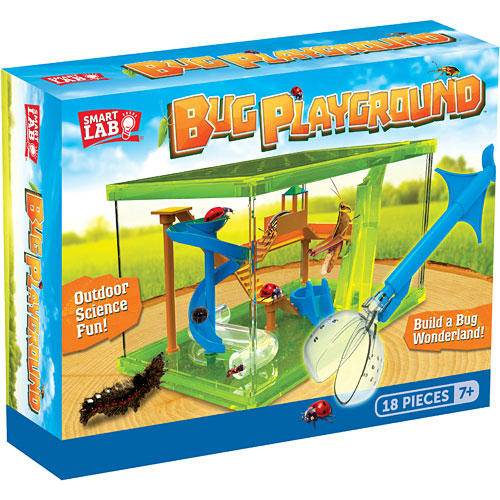 Capture your backyard creepy crawlies, examine them and let them play in the Bug Playground, then release into the wild again. The enclosed booklet is full of good ideas with ways to catch bugs and also funny facts and experiments about bugs. Bug Playground features a slide, steps, crawling tube, climbing wall and a lid with air holes. 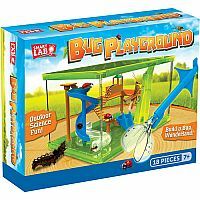 Bug Playground is approx. 5" x 3.5" x 3" when assembled. 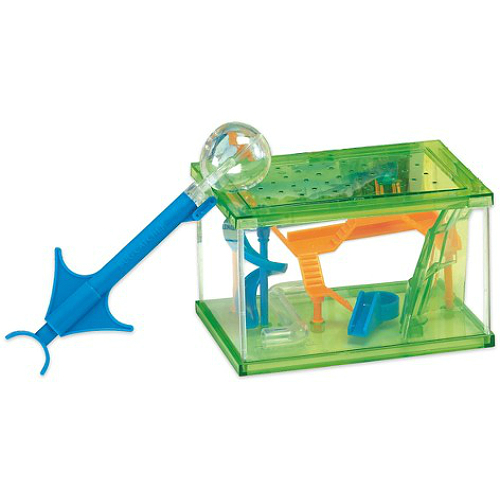 Also comes with small bug catcher. Recommended for ages : 7 to 10. 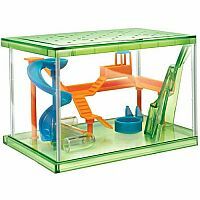 Measures approximately: 9.00 x 7.00 x 2.25 inches..